Hello my friends! how're you? the truth, I've worked a lot and I have many crafts to show you. Today I will share here my last vanity cases. they could be better made ... 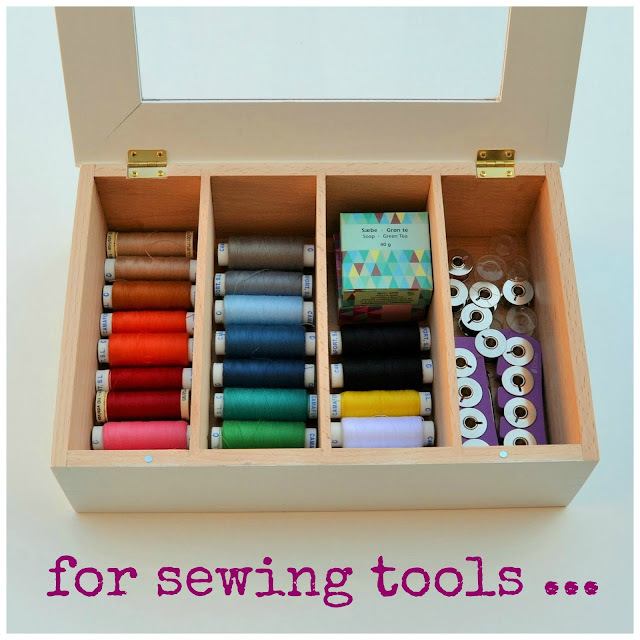 I have to practice sewing more days! Here I've worked with DROPS PARIS and 4mm crochet hook. and my sewing corner. I like to have things tidy. You want to see where I keep my spools of thread ...? In this box of tea bags! for me it is perfect! definitely, is my reflection bench! If, Jane, My dad, Tell You ... hope you enjoy! Thousands of thanks for who read me here yet! I wish you days full of crafts and creativity! El que donaria jo per tenir un armari així ... jo les tinc en capces, igual que les robes ... ja veig que hauré de fer un pensament i fer fora algu de casa. Els necessers són molt bonics i la combinació de colors espectaculars. Gorgeous pictures in this post! 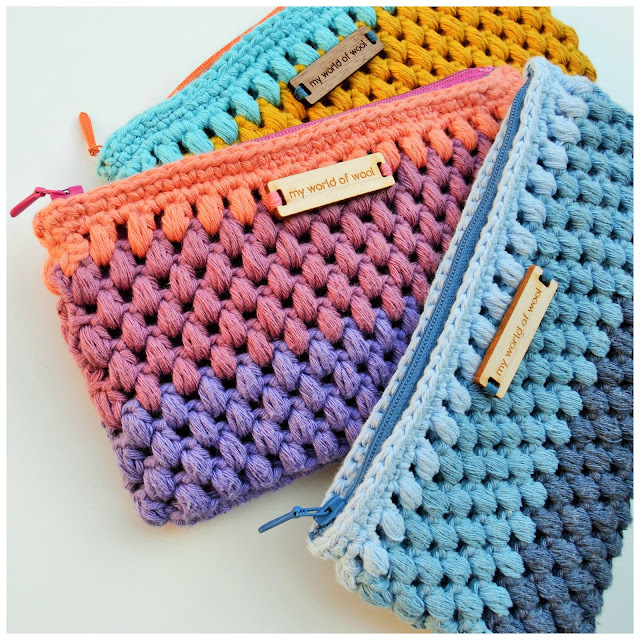 Your vanity cases are beautiful ......I love the colours and the texture and your zips look great! 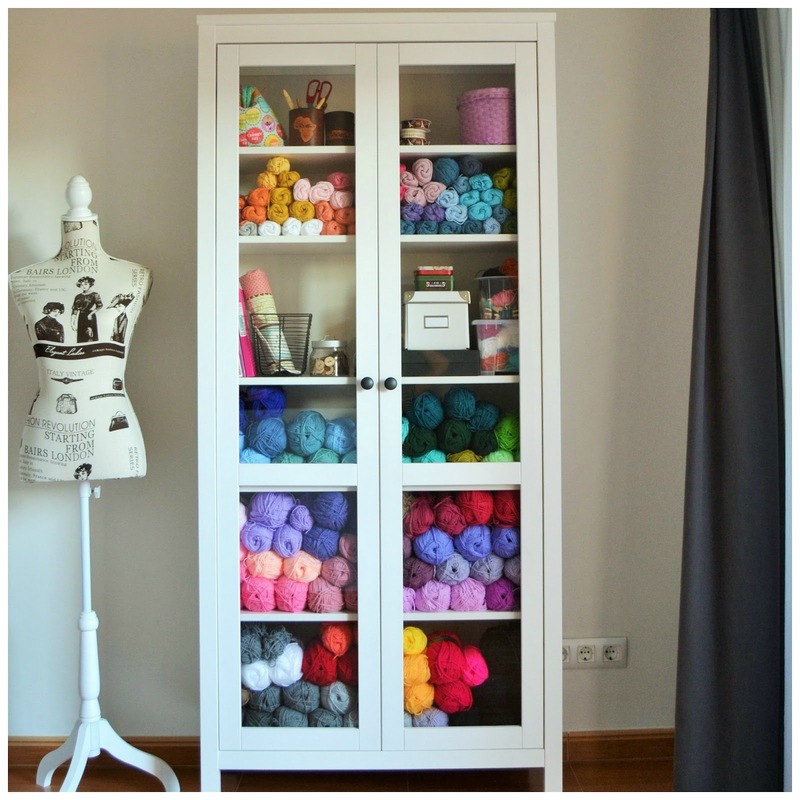 Your craft room looks like a wonderful place to work, and the cupboard filled with colourful yarn is so pretty. Happy weekend Cristina. Welcome, Tanya! 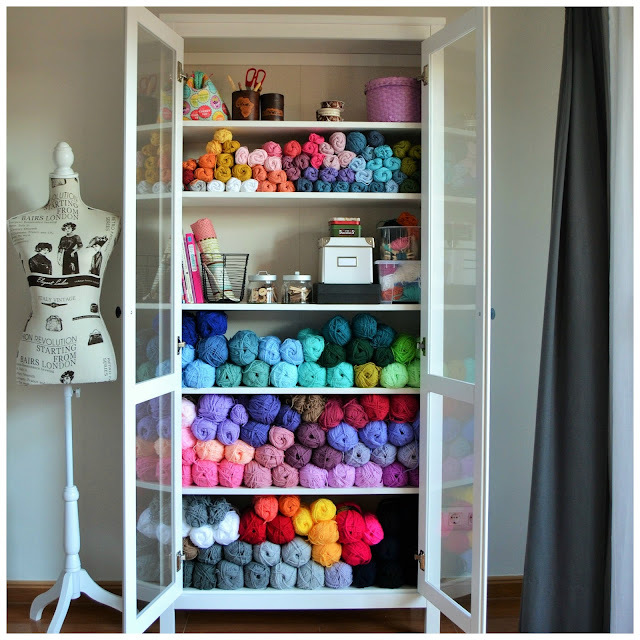 I hope you enjoy your journey through my world of wool! With this blog I try to learn a little English, I'm self-taught with Google Translate. I hope you can excuse my mistakes in the written language! Nena quina enveja!!! Quin espai que tens més agradable... i els colors que surten de l'armari són ideals... La veritat no m'estranya que facis aquestes coses tan boniques, si només entrar a aquí ja inspira!!! !